We use return email addresses to answer the email we receive. Such addresses are not not shared with outside parties. E-mail address are also used to distribute The Printer Ink Warehouse discount offerings which are exclusive to existing customers. Should you have other questions or concerns about these privacy policies, please call us at 866-465-7334or send us an email. 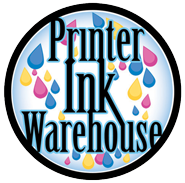 We make every effort to ensure that your purchase experience at The Printer Ink Warehouse is secure. We use state-of-the-art data encryption technology to protect against loss, misuse or alteration of your user information. Secure Socket Layers (SSL) encrypt the information sent between your computer and our database. In addition, we use Internet fraud screening to protect credit card transactions. To be sure you're browsing secure pages, check your Web browser's status bar (located at the bottom of the window) for the closed padlock icon. This icon appears in the latest versions of Internet Explorer and Netscape Navigator to tell you that you are viewing a secure web page. Also, all browsers display an "s" after the "http" (https://�) in the Web site address to indicate that you're in a secure environment.